“If the future President adopts my RRR plan, I will have accomplished more than I could ever hope to accomplish as an elected Senator of the United States. RRR is an idea that will resonate with the American people and it will put the country back to work. Like 999, it will be remembered by all Americans, and it will stick. Moreover, if President Obama studies the plan, and chooses to adopt it, our recovery can begin even sooner, Kelly added. 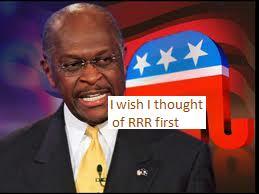 “Nobody has forgotten Herman Cain's 999 plan. Just like 999, RRR would be forever etched in the minds of Americans. Long after people have forgotten why Cain suspended his campaign; they will remember the simplistic charm of 999. Whenever somebody asked Cain how he would do anything; he was quick to answer: “9-9-9.” And he always answered with a big engaging smile. People remember 9-9-9. The people will also remember the three Rs or R-R-R. Any presidential candidate who adopts RRR will gain a double digit lead in the polls virtually overnight,” Kelly quipped. Actually there are four sets of three R’s each and Kelly explains them in detail on his web site www.kellyforussenate.com. Set 4: Reduce Redistribution; Reduce Lying; Reduce Government. “There may be many more R’s but just like ‘Readin, ‘Ritin, and ‘Rithmetic, the identified R’s above are the ones that are the most important for America’s future. One additional R that I would insist on being on the list is Remember Mistakes,” Kelly offered. Kelly is a retired IBM Senior Systems Engineer and a retired Marywood University Professor. He is the author of 46 books that are mostly technical in nature. Kelly’s recent books are about America and Americans and the list includes the following: Taxation Without Representation; Obama’s Seven Deadly Sins; Americans Need Not Apply; Healthcare Accountability; Jobs! Jobs! Jobs! ; Kill the EPA -- so humans can live; and RRR-- a unique plan for economic recovery and job creation. Like many Americans, Brian is fed up with the progressive / Marxist agenda in Washington that places the needs of everyone and everything, in front of the needs of Americans.